The Shahnama is divided into many parts. The questions contained in this product focus on the battle/story of Rustem and Sohrab. 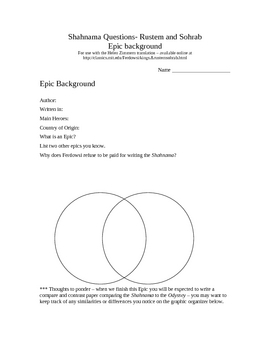 These questions can be used to assess basic comprehension as well as for developing a compare and contrast paper with an epic such as the Odyssey.